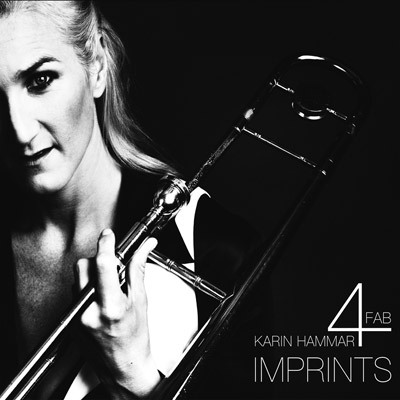 When the Stockholm-based trombonist Karin Hammar now releases her new album we meet a long span between the songs. On “Imprints” fifteen year old music is brought to life and share space with new creations. Covers of both Milton Nascimento and Stevie Wonder is also included and the sound is more low key than we previously heard from Karin but still just as enjoyable. The album is self-produced and recorded in Stockholm at the legendary Atlantis Studio. Karin’s mentor, and a big reason why she as a child and teenager continued to play the trombone, Nils Landgren puts out an album on his own label, which contributes to the feeling of the circle closes and a new chapter begins. Born in Boden and with a past in the duo Sliding Hammers (with her sister Minnie), Karin Hammar is one of Sweden’s leading trombonists.